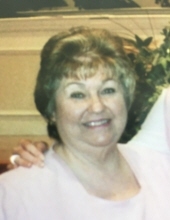 Mary Lee Scott Stone, 68, of Collinsville, VA passed away Tuesday, October 16, 2018 at her home. She was born May 21, 1950 in Martinsville, VA to the late Clayton Ballard Scott and Betty Fields Scott. Mrs. Stone attended Freedom Baptist Church and was a retired Registered Nurse. She is survived by her husband, Rodney Stone of the home; daughter, Jaime Powers and husband, Charles, Jr. of Midlothian, VA; son, Clayton Stone and wife, Tonya of Orlando, FL; sister, Joan Prillaman and husband, Tim of Henry, VA; and grandchildren, Lindsey Stone, Corbin Stone, Jackson Stone, Ava Claire Stone, Dylan Powers, and Olivia Powers. Thank you to her special friends, Chris and Delia Marshall, Betty Moorman, Angela Draper and the staff of Stanleytown Health and Rehab Center, Lovetta Franklin, and the staff of Mountain Valley Hospice. Norris Funeral Services, Inc. and Crematory of Martinsville, VA is serving the Stone family. To send flowers or a remembrance gift to the family of Mary Lee Scott Stone, please visit our Tribute Store. "Email Address" would like to share the life celebration of Mary Lee Scott Stone. Click on the "link" to go to share a favorite memory or leave a condolence message for the family.